If you buy a used car, it can be just as reliable as buying a new car. And let’s face it—a new car is going to become a used car anyway! We wanted to share three tips for making sure that when you buy a new car for yourself, or maybe for your college student or teen, that you’re getting a car that’s going to last. 1. Have us check it out. Always get it checked out by a reputable shop that you trust. Obviously, we’d love for you to bring it here to Solutions Automotive, but if there’s another shop you trust, take it there. When you bring it to us we’re going to go over that vehicle with a fine-tooth comb to make sure it’s safe for you or whoever is going to drive the vehicle. You want to know exactly what’s happened to the car, if the maintenance has been kept up, if it’s been in any accidents, etc. Typically that will weed out anybody trying to make you a shady deal. If they can’t give you the Carfax, you don’t know what the vehicle has already been through. 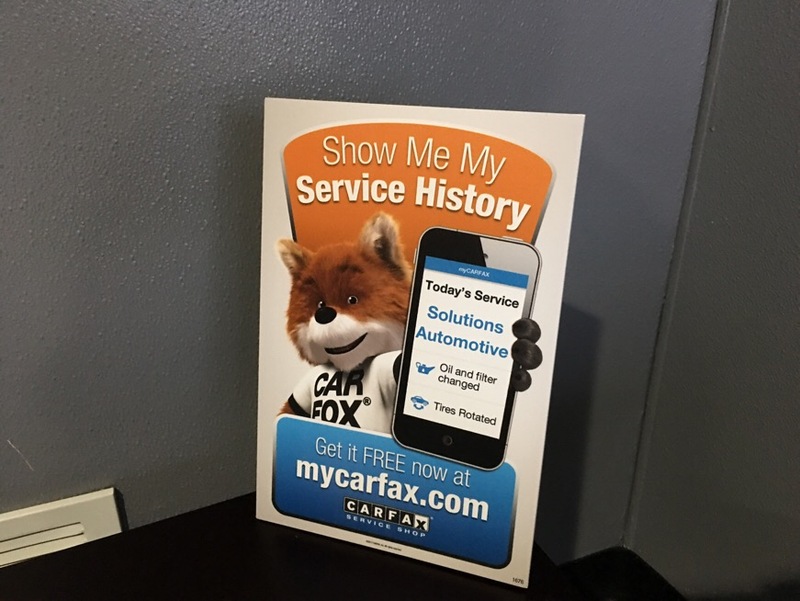 Here at Solutions Automotive, we enter in all your information into Carfax. That way when it’s time to sell your vehicle you have updated records of all the services we’ve done for you. Make sure the source is good. Whether it’s a third-party, private seller, used car dealer, etc. Often you can go with your gut. If you get a feeling that you don’t trust this individual or this car lot, then go somewhere else. But it all starts with getting the vehicle checked out. That way you know if the vehicle you’re buying is safe for you or whoever is driving it. Good luck! I hope this helps your search for a used vehicle. As always, if you need anything done whether it’s maintenance, oil changes, or repairs, think of us at Solutions Automotive!